How much time does it take to go from Naples to Capri? You don’t have to be a millionaire to enjoy the beauty of Capri. Accommodation on the island can be pretty expensive, but you can still visit and make the most out of it in just one day. Arranging a day trip to Capri from Sorrento or Naples is in fact pretty easy and definitely a great option if you are staying on the amazing Amalfi Coast. You can fit Capri even in a 10 day Italy itinerary, if you plan it wisely! The ferry from Sorrento to Capri will bring you from the Sorrento harbor to Marina Grande (the main harbor) in Capri. The trip lasts more or less 30 minutes, and the ferries run more frequently in the summer. 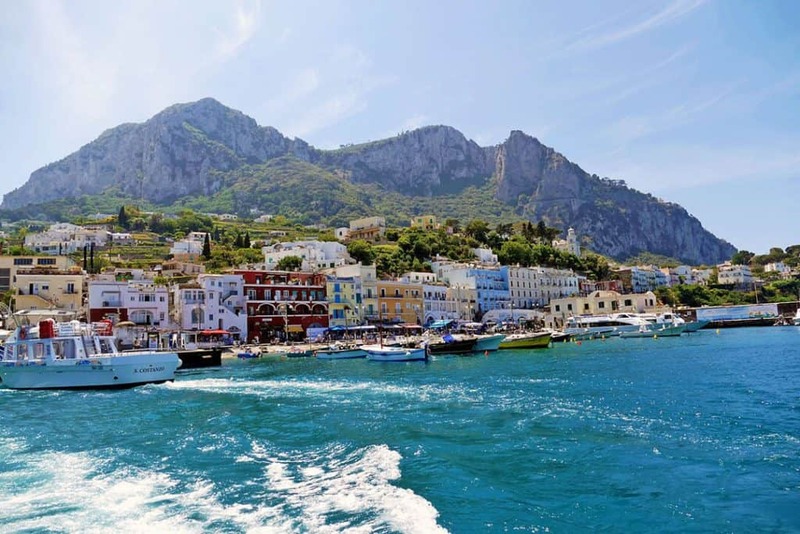 You can start your Sorrento to Capri day trip in the best way if you sit on the left side of the ferry or go to the upper deck. The view is in fact absolutely amazing, because this part of the coast is one of the best seen from the sea! The tickets go from about 16€ to 25€, according to the season. The first ferry from Sorrento to Capri generally leaves at 7:15 am and there’s one every 30 minutes until 7:30pm. If you want to go from Naples to Capri, then you will have to head over to the Molo Beverello area (also the starting point of our one day tour of Naples for those coming off a cruise ship) or to Calata di Massa. From Molo Beverello you will be able to board hydrofoil boats, while from Calata di Massa you can board regular ferries and fast boats. Despite the name, “fast boats” and ferries are slower than hydrofoil boats, but a lot cheaper. Also unless hydrofoil boats, they can board motorbikes or cars. Prices and times change quite a lot so you should always check for more information the day before to go to Caprivisiting Italy in winter especially if you’re : in case of a storm it’s very likely that ferries and other boats won’t be able to leave the Naples harbor (and if you are scared, read my article to see if Naples is a safe city). 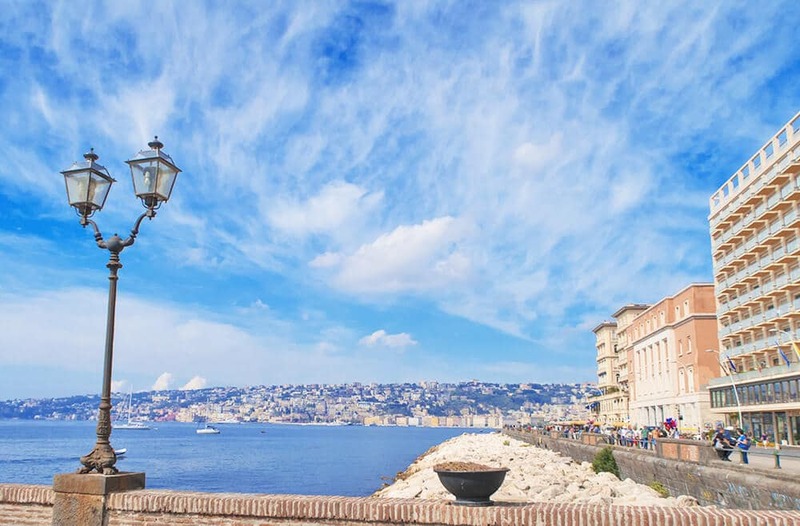 If you are lodging in Naples in Via Medina, which is pretty close to the harbor, you’ll still have plenty to do as this is one of the areas with the most things to see and do in Naples! From April to October (included) you will be able to board hydrofoil boats from the Amalfi Coast to Capri. They will leave from Positano, Amalfi and Salerno, and in July and August also from Maiori. It is important to know where the ferry stops so you can book a hotel on the Amalfi Coast accordingly. Times and prices are generally scheduled by the end of March (they can change quite a lot) when the high season starts, but there are generally at least two or three rides in the morning and the same amount in the late afternoon to get back from Capri. There’s also a good chance than in July and August they will add more. If you are planning a longer vacation to the Amalfi Coast, you can easily add a day trip to Capri in your itinerary! The ferries dock at Marina Grande, the main harbor in Capri. Once you’re on the island, to get to the city center you’ll have to take a funicular ride. It stops at the charming (and world famous) Piazzetta, the heart of Capri. The ride takes about 15 minutes and it costs 2€. Don’t worry about having to book in advance, the funicular moves up and down the hill from 6:30 am to 8:30 pm. You can bring a small trolley or a backpack up with you. In case you’re meaning to bring a bigger suitcase, you will have to buy an additional ticket, at the cost of 2€. You can buy tickets at the end of the dock (on the right side), next to the hydrofoil boats ticket office. From January to March the funicular is closed but you can take a bus up the hill. If you want to go to Anacapri, the residential and quiet area of Capri (but still touristy), you can just hop on one of the tiny buses on the island. They load up to 10 people and in the summer the lines can be pretty long, so in case you are planning your Capri in a day itinerary, make sure you go to Anacapri in the morning. That way you won’t be wasting precious time! 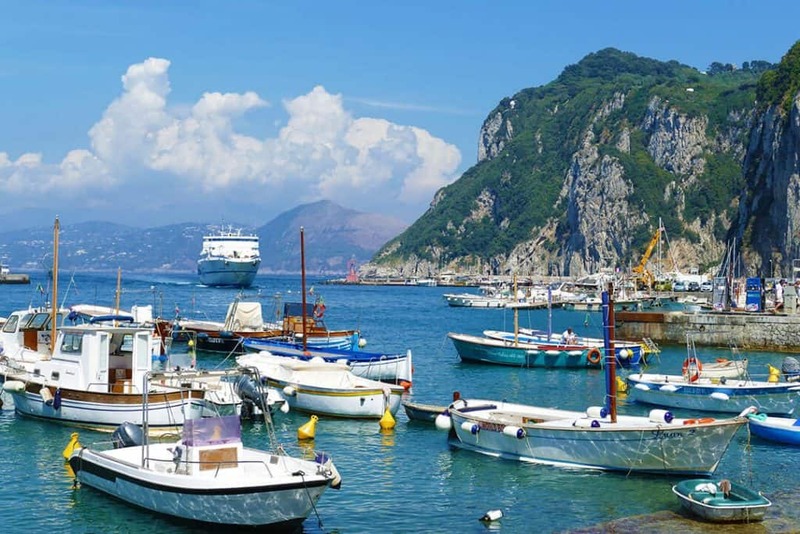 Because you have one day in Capri, you will have to choose if you want to start the day exploring Anacapri or opting for a boat ride to the Blue Grotto. It really all depends from what you like… and from the season you’re visiting in (scroll down for more info on that). Hot summer days mean that people will mostly be swarming to the Blue Grotto, while Anacapri might be less crowded. On the contrary, if you visit Italy in late spring, chances are that less people will be tempted to go to the Blue Grotto. Take into account the fact that from November to the end of March the Blue Grotto is generally closed because the wind and the bad weather make it impossible to get inside. 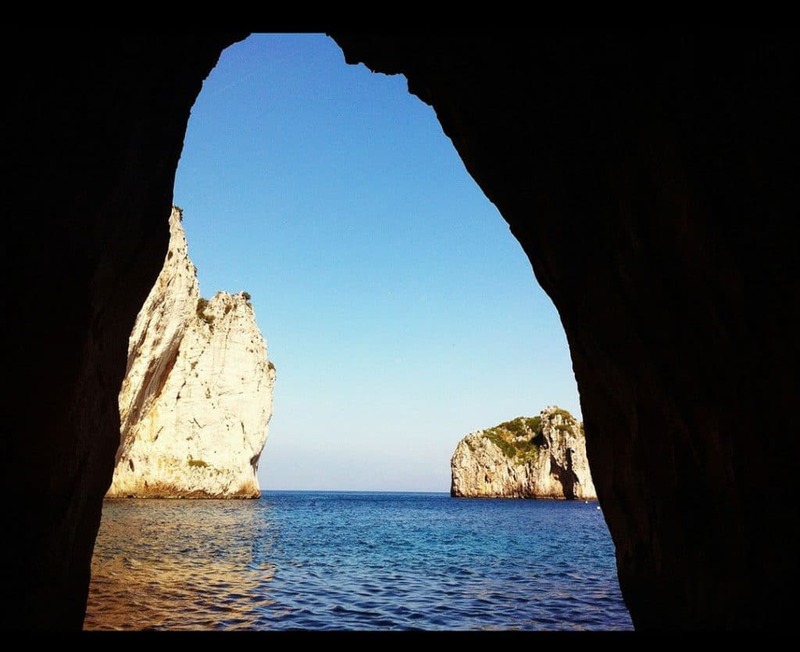 You will be able to access this impressive cave, embedded in the side of Capri, hopping on a small canoe (up to 4 people). A sailor will ask you to lay down on the bottom of your canoe, and then he’ll grab a chain tied to the rock to led you under a pretty low arch (approx. 1 m). The first thing you’ll notice is that it’s all dark. Pitch black, even. Before you start getting scared, it all comes to life. The inside of the Blue Grotto… really is blue. The glow is incredible and most probably the sailors will start singing Neapolitan songs, out of pride and respect for our land. As Neapolitans we are in love with what Mother Nature has given us and very proud of the beauty of our region! While inside, you will feel like floating in some kind of turquoise/blue bubble (someone things it looks a bit like the Art Metro Station in Naples, Toledo). Surreal, but stunningly beautiful, it’s an experience I strongly suggest you do at least once in your lifetime. You can reach the Blue Grotto from Anacapri (see above how to get there) or renting a boat in Marina Grande. The grotto is open from 9am to 5pm, and only if it’s not too windy. The entrance (because this is considered some kind of museum) fee costs 14€ per person. At Marina Grande you might find sailors selling a tour of the island, including the entrance to the Blue Grotto. Yet those can be particularly expensive if booked in Capri. I strongly suggest you book online, well in advance, to make sure you won’t have to say goodbye to half your budget! Click here to check the most recent offers for a boat tour of the island and of the Blue Grotto. You can also go there on your own, but be aware of the fact that to get to the entrance you will have to walk for a good bit and climb down a very long and narrow staircase to the tiny dock where you will be helped on one of the smaller boats. If you aren’t scared of the sea, this is definitely one of the best things to do in Capri, so I encourage you to try it! One of Capri points of interest is Anacapri, from where you can access the chair lift to the top of Monte Solaro, the island’s highest point. The ticket (round trip) costs 11€ and will allow to shoot beautiful landscape photography, as you will see some of the best views of Capri, the Gulf of Naples, the Amalfi Coast and Mount Vesuvius. The chair lift is open from March to October from 9:30 am to 5:30 pm and from November to February from 10:30 am to 3:00 pm. The locals call Mount Solaro “Acchiappanuvole” (Clouds catcher) because, especially at down, the low fog looks like a crown of clouds around the top of the mountain. Another beautiful area where you can shoot cool pictures of Capri is Villa San Michele, which also offers the chance to stroll through amazing gardens, full of flowers. Built by a Swedish doctor and writer, Axel Munthe, on the ruins of an old Chapel dedicated to San Michele, this villa is also one of the most instagrammable spots in Capri, perfect for stylish shots next to statues, marble columns and blooming bushes. From here you can take also beautiful shots of Mount Vesuvius and the Gulf of Naples. The entrance ticket costs 8€. Villa San Michele is open year round from 9:00 am to one hour before sunset. Anacapri is also perfect if you like to just stroll around through beautiful buildings. The historical center is way less crowded than the Capri Town center, and definitely more laid back. If you reach the main square you will be able to visit the San Michele Church. While on the outside it looks modest, the inside is stunning thanks to the majolica (hand painted tiled-ceramic also pretty famous on the Amalfi Coast) floor depicting the expulsion of Adam and Eve from the Garden of Eden. The tickets cost 3€. Make sure your shoulders are covered and that you aren’t wearing shorts or you won’t be able to get inside (here you can find a useful guide on how to be respectful when visiting Churches)! Capri is not only one of the most romantic places in Italy, but also a great spot to hike with a view. If you love to rock your mountain boots, then make sure to add some hiking time in your day trip to Capri. Check our guide to packing for summer in Italy to know what to wear if you want to hike in Capri! The tourist center in Marina Grande offers maps with time estimates and level of difficulty. When planning, choose a hike that leaves you plenty of time to get the funicular to Marina Grande. Late afternoons are quite busy, because so many people return to the mainland, and you don’t want to miss your last ferry from Capri to Naples (or Sorrento, or the Amalfi Coast)! 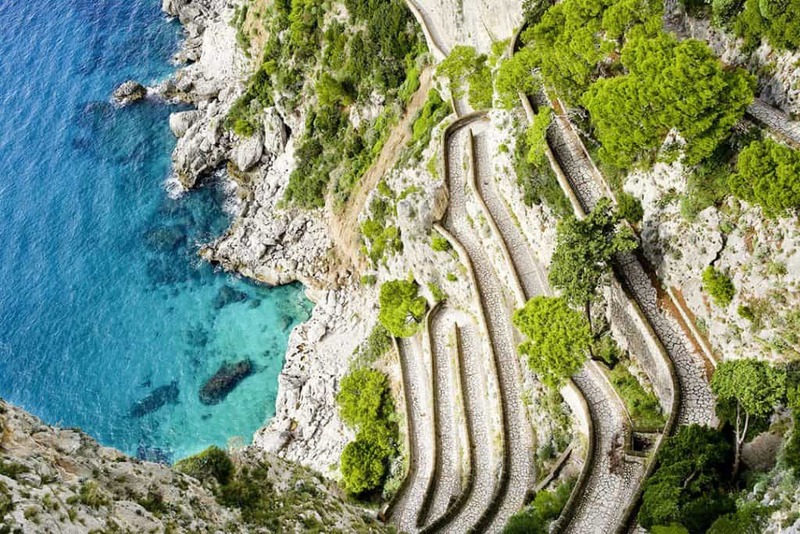 One of the nicest hikes in Capri is named “La passeggiata del Pizzolungo“. You start the trail from the Piazzetta in Capri Town (check the map you get at the tourist center!) and walk on Via Longano or Via Le Botteghe. Once you get to Via Tiberio, turn on Via Matermania to the Piazzetta dell’Arco Naturale. Here the mountain is covered in vegetation, with flowers and trees specific to Capri. 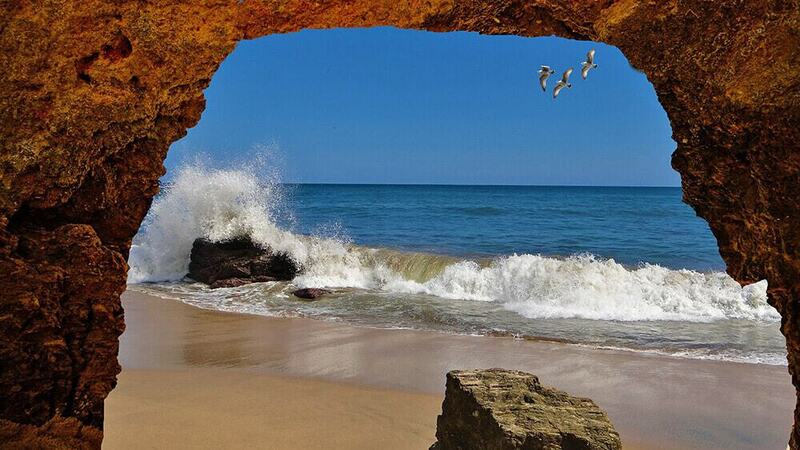 If you’re lucky and everyone else is at the beach, you will feel like the last person on Earth. Before to leave for the Passeggiata del Pizzolungo make sure you have a bottle of water, a hat, sunscreen and hiking shoes. There are no rest stops and you will have to hike about 775 steps to get to the belvedere. Before to get to the Natural Arch, you will go through the Grotta di Matermania. Historians believe that this grotto was used for rituals tied to a Goddess of Fecundity. After you leave this cave, you will still have to climb 200 steps to get to the top. On the right there’s a narrow path to the Natural Arch. It’s an incredible paleolithic sculpture, the remains of what once was a pretty huge cavity. Today all we can see is a 18 meters tall stone arch, large 12 meters, that looks a bit like the Azure Window in Malta (now unfortunately collapsed). If you get to the top, try to shoot using the rock arch as a frame for your pictures, they will be amazing! While Anacapri is laid back and (mostly) quiet, Capri Town is a lively, colorful, cute slice of paradise. Its heart is the Piazzetta, where you’ll immediately feel the energy and lively atmosphere. If you want to shoot the perfect postcard of Capri, with the Faraglioni and the cliffs, then head to the Giardini di Augusto (Gardens of Augustus). It’s a terraced garden full of flowers, from where you will see the Faraglioni on one side, and the Marina Piccola harbor with the one lane winding Via Krupp (as I write the road is unfortunately closed so you can only observe it from above). All around the lovely Valle della Certosa, Mount Tuoro, Mount Tiberio, Mount San Michele and the cute traditional Capri houses. This would be also the perfect time to stop for a delicious gelato or a citrus granita at gelateria Buonocore, one of the best in Capri. Here you can also have a Neapolitan coffee but keep in mind that it’ll be more expensive than what you’d pay for it in Naples! In this case you might be excused if you don’t apply the Italy tipping etiquette. Capri Town is the Italian version of Rodeo Drive in Beverly Hills. Glitzy boutiques, billionaires… everything almost clashes with the colorful houses and the rest of the island. Unless you’re planning to buy a pricey designer handbag as a souvenir from your trip to Italy, I suggest you just walk around briefly… gelato at hand, of course! Even if you don’t buy anything, it’s beautiful to just walk around and take in the incredible views. If you have read my article on the best dishes in Naples, know that you will find all of it on Capri as well. Don’t forget to eat a slice of Torta Caprese. It’s cooked also in the rest of Campania region but the original recipe, as suggested by the name, was created in Capri. It’s a moist chocolate cake with almonds, covered in powdered sugar. Another traditional Italian recipe is Insalata Caprese, which is a salad with mozzarella cheese, tomatoes, olive oil and basil. In Capri they also make Panini Caprese, a good way to grab a quick bite that tastes like this paradise island. Always wear a hat. While you might not realize it, the heat here can be pretty strong. You don’t want to get sunburned or get a sunstroke! Drink lots of water, especially in the summer. Always wear light, pastel colored dresses: avoid black at all costs as it will only make you feel the warmth more. Leave from the mainland as early as you can, to be able to make the most out of your day trip to Capri. A day trip to Capri from Sorrento or Naples (as I mentioned the ferries from the Amalfi Coast are seasonal) is always a good idea. Yet because it’s a tiny island, you will probably have to avoid the Winter months because more often than not the ferries to the mainland are shut down completely due to the bad weather conditions. Because I know how hugely crowded Capri can be, I suggest you to avoid June, July and August at all costs. 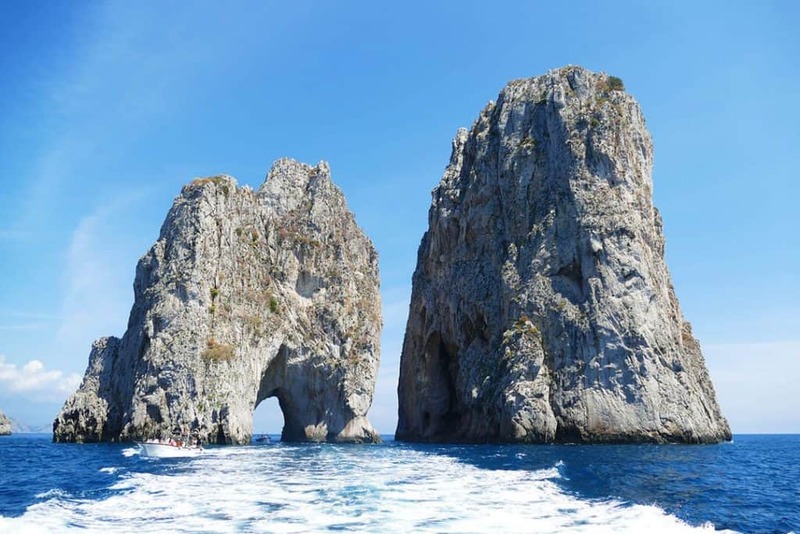 Maybe one of the best months to see Capri is April, because the Blue Grotto is open, the weather is warm but not too much, and you shouldn’t find too many tourists. May and September are also good, maybe a bit more crowded, but still doable! What happens if you are worried you can plan a trip to Capri on your own or if you want to visit from Rome? This handy list of the best Amalfi Coast Tours will definitely be of help! I still haven’t been to Italy yet and your post is making me rethink my life choices ha ha! I’ve always wanted to explore this part of Italy and especially the Blue Grotto – it looks magical! The Torta Caprese sounds like my kind of dessert too – the Italians sure know how to make delicious desserts, don’t they! Beautiful photos. Definitely plan a trip to the South of Italy! 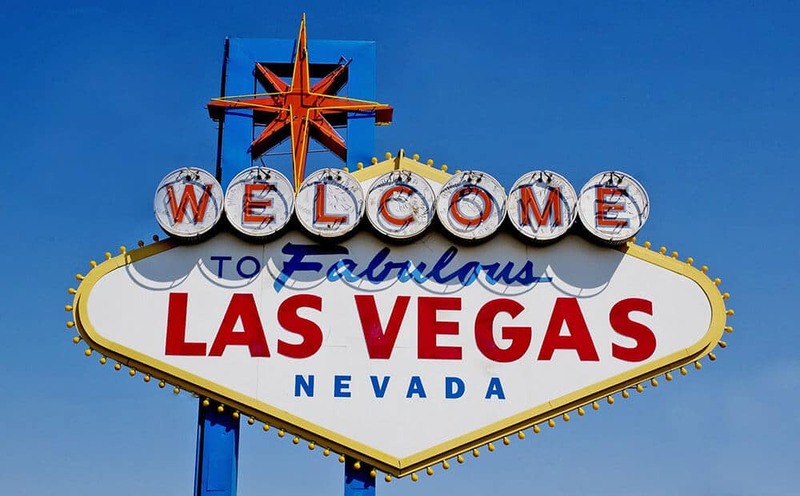 There’s so much to see and do here and the food is to die for! Capri is so beautiful. I’d quite happily spend the whole day walking around the town eating a gelato ? Haha that’s exactly what I usually do! Ah, Sorrento/Capri. On my pinned list for near future. So beautiful. 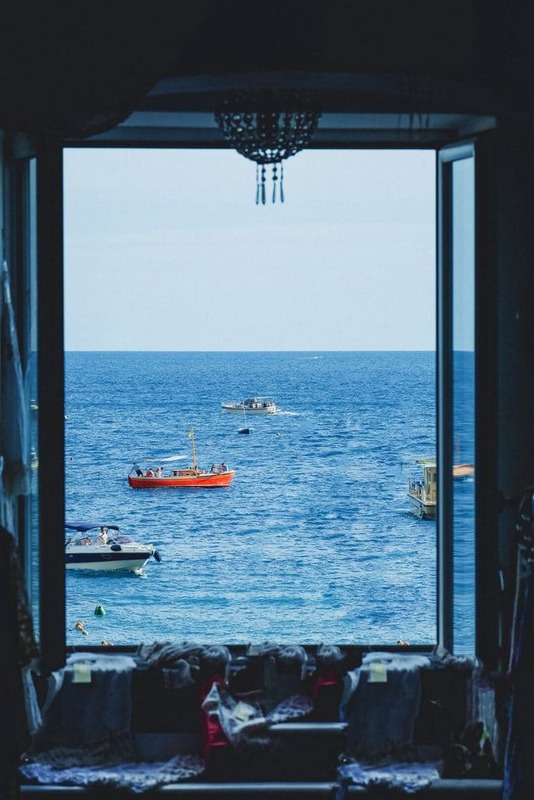 Great idea to take a day trip and save yourself the expense of spending a night in Capri. But, there looks like so much to see and do. I’d be hard pressed to choose between the Blue Grotto, Anacapri or Faraglioni. The region is just too beautiful. Gelateria Buonocuore – with a name like this the ice cream has to be out of this world! Anyway, I’ve been to Capri once and it is beautiful, yet it was pretty crowded. Our accommodation was in Anacapri and actually it wasn’t that expensive, but I would do it on a day trip – already for the boat trips across the beautiful deep blue sea. What impressed me most, by the way, were the gigantic lemons – size of a foot ball – and all the delicacies like Limoncello and the Limoncello cake they make of them. They really got the motto “when life gives you lemons…” right! It’s amazing that you found a good deal in Anacapri! Can I ask you what season it was and how long ago? Now it’s pretty expensive 🙁 As for the lemons, they are also very famous and good in Amalfi. My mom does handmade Limoncello with the Amalfi lemons and it’s absolutely amazing! We loved every second of our time in Capri. From the Blue Grotto to Anacapri, this island is a photographer’s delight. I’m glad we opted to stay for 3 days and live the dream. Wow 3 days in Capri! That must’ve been an amazing vacation! Gorgeous photos and great suggestions. Having been on a land trip to these places, I would gladly welcome arriving by boat to avoid those crazy, twisty roads. I was scared for my life! We’ve only been to Capri one time, and walking around it was so expensive, so I like that you included the hike and views. That’ much more my style. Definitely and sleeping can be so much expensive! Which is why I always suggest to make it a day trip and maybe eat a panino on the island for lunch. Dinner is definitely cheaper on the mainland! I have already fallen for Capri after seeing your pictures. The entrance to Blue Grotto is superb. That blue water is so so soothing to eyes. I am loving everything about this place. 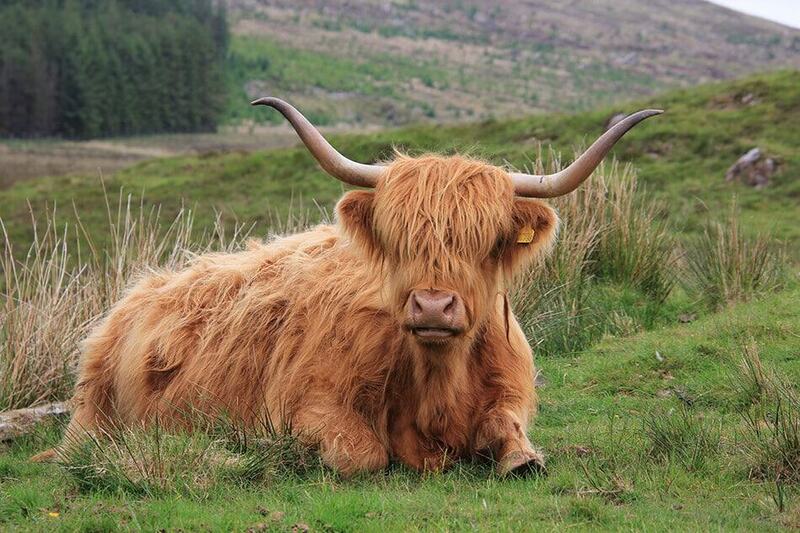 So, surely going to add this to my bucketlist. 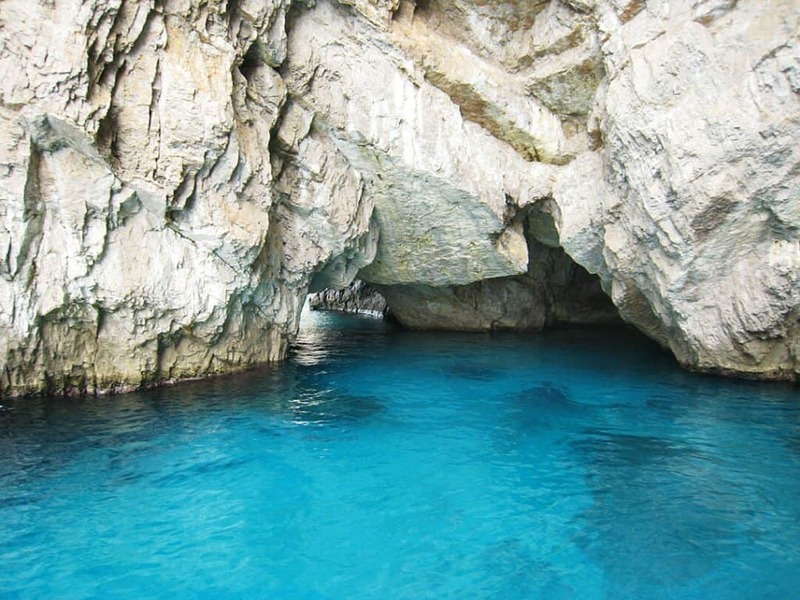 The Blue Grotto is definitely one of those gems you never forget once you’ve seen it! I’ll keep my fingers crossed that you get to go! 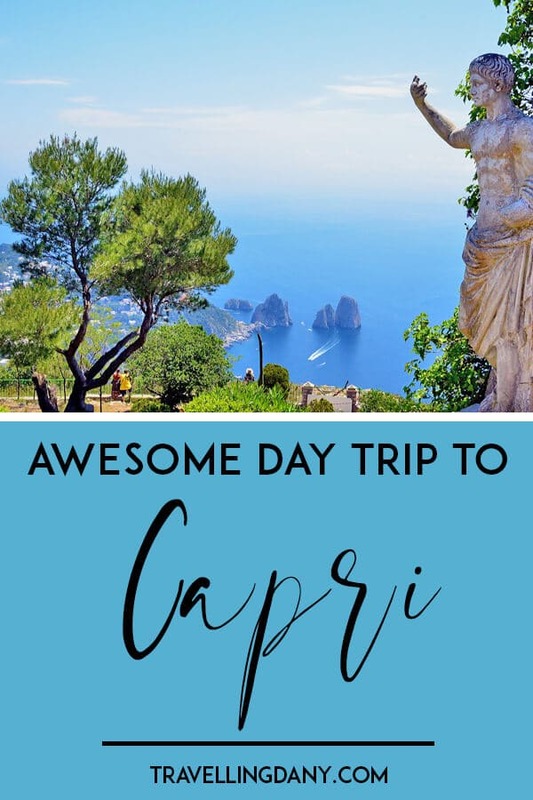 We did a day trip to Capri from Naples on my trip to Italy, and it was fabulous! One of my favorite memories! Thanks for this trip down memory lane – one of my favorite adventures here was a tour of the blue grotto lol I actually stripped down in the little row boat and jumped in – which you’re obviously not supposed to do, without realizing that the water isn’t exactly the healthiest to ingest!! The glow was the most incredible thing I’ve ever seen. While the other islands off the Naples’ coast are all very beautiful, Capri is completely different. It has its own vibe, and it’s like nothing else in the world. I’m so glad you liked it! And lol, nope, you shouldn’t jump in the Blue Grotto, but the men on the boats don’t always say so and don’t tell the tourists that it’s not good to drink the water, so not your fault, really! Did they start singing, too? I’ve always been intrigued by Capri and from your article have just now discovered Anacapri. Thank you for the detailed information on how to get there and the tip to plan for a day trip and avoid the high costs. Stunning photography. Hoping to get to Capri soon!! I love Faraglioni. Thank you for detailed and specific information on Capri. Hope to make use of it soon!! I love your tips on food and restaurants.. Thanks for sharing Dany..
Capri is somewhere I missed seeing when I was in Naples. My Dad preferred Ischia and Procida, but I didn’t get to these islands either! You give so many great tips for visiting Capri, especially about the popular tourist activities like Anacapri and the Blue Grotto. Certainly the time of the year can change an experience at these places. La passeggiata del Pizzolungo sounds amazing, but all those steps – ouch! As I said earlier, I love the way you present Itineraries. They truly motivate me to be there and travel with you. Would love to visit Capri some day and enjoy this Beautiful city. The Marina Harbor is so pretty, Blue Grotto is so intriguing and I am sure I will end up spending my whole day exploring this place. The Faraglioni is seriously a nice place to propose amidst blue water. Thank you, I’m very glad you like the way I write, made my day again! I didn’t know that Capri is so close to Naples! I thought that the prices would prohibit a trip there but the one day trip from Naples is a perfect idea for May or September. L’ insalata caprese and the torta caprese are two other reasons that make me want to go there! Oh yes it is! Closer to Sorrento, actually! There are quite a few nice islands near Naples worth a visit, Capri, Procida and Ischia are my favorite! Yes, a day trip! All the sites, but you don’t have to shell out major cash to overnight. I love how you’ve laid it out with all the ferry options. Was going to ask about where to eat, but then in your post I noticed the link to your Naples article, which I’ve bookmarked. Anacapri sounds just like the place for me. I’d love to explore such a laid-back town, and while the Blue Grotto looks cool, I’m not sure I would enjoy it as much. The chair lift to the top of Monte Solaro looks really cool, and totally worth the money. Do you mean because of the crowds? They’re the thing that generally scares me off too! Capri is the perfect spot for a day trip! Sadly, I didn’t make it inside the Blue Grotto because the line was so long…maybe next time. I have been to Sorrento and Naples so many times, but never made it to Capri! I have missed out! Next time I go to Sorrento, Capri will be one of the top things to do, I need to see the blue grotto and see those amazing views. Definitely! Going from Sorrento to Capri is cheaper and also you save time if compared to the Napoli-Capri route! 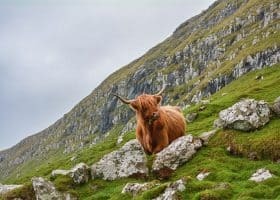 Such a helpful article with so many amazing travel tips! Can you believe I lived in Milan for 3 years and never made it to Capri? Will definitely have to go on my next Italy trip. Grazie mille! Great tips for planning a day trip to Capri, even down to the time of day to visit Anacapri. A spring our fall trip would be ideal for me so I can visit the Blue Grotto without the heat or crowds of summer. Definitely! So many people complain about the crowds but I think they are to be expected if you visit in July or August, it’s peak season! Capri looks beautiful, and I would love to go! 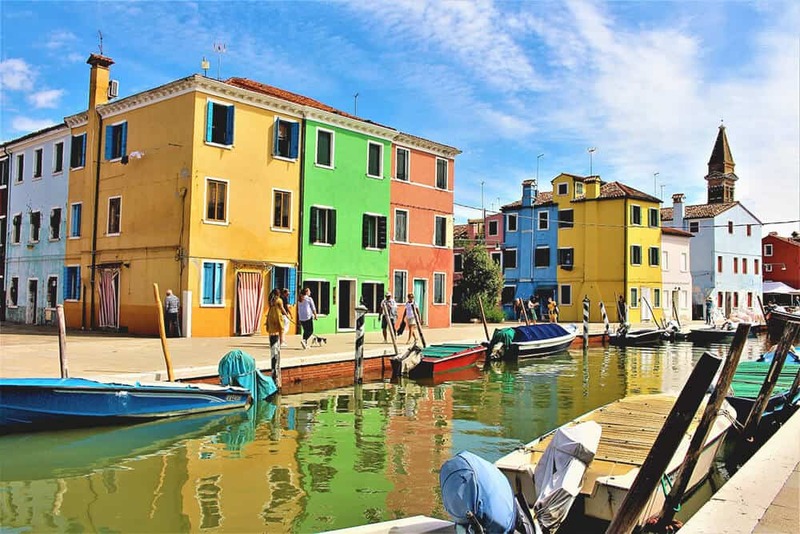 It is one of the few parts of Italy we haven’t seen yet, so it is definitely a must see! I would definitely need to try the torta caprese, sounds delicious! It’d be a great idea to plan a vacation on the Amalfi Coast and from there see all the beautiful islands like Capri, Procida, Ischia, and maybe also go up to Ravello, which is pretty beautiful! This is so thorough! I could plan my whole trip from your post. Thanks so much for sharing! I’m very glad it is useful Amanda! Great post! I love Capri so much but it’s been years and I want to go back! It’s great to have a comprehensive guide to the cost. Thanks! Yes! Come back, there’s always so much to see, not only Capri but also the Amalfi Coast! It looks so beautiful! I think I would have a hard time tearing myself away from Capri and the Torta Caprese after a day. The hiking sounds incredible and I can see why this is considered such a romantic location. I definitely need to venture through this region of Italy! This is lovely! I wish I had read this before I visited in Capri. I went from Sorrento too but we couldn’t visit the blue grotto 🙁 Hoping to go back again some day! That’s too bad 🙁 Bad weather? Fingers crossed that you come back soon! Such a detailed review. I visited for a day with my kids and i wish I had seen something like this. We got sucked into the tourist areas and missed the hidden corners. 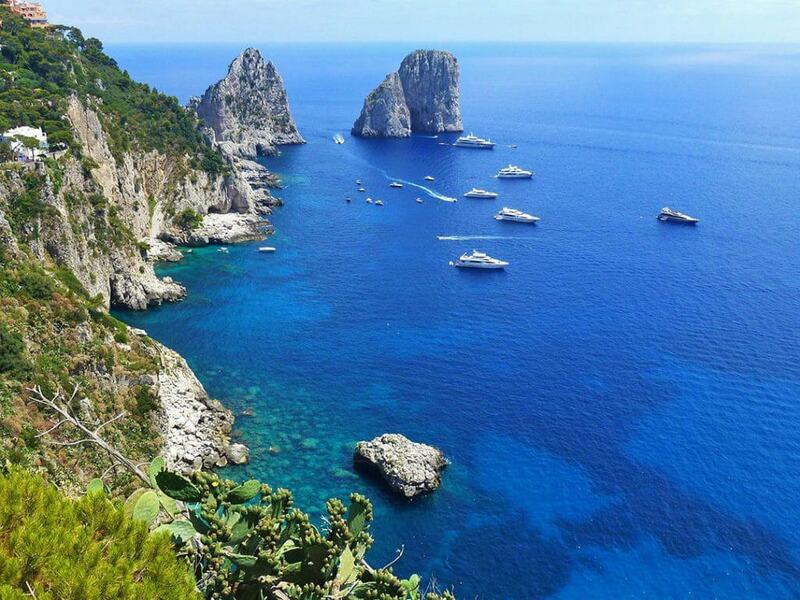 Capri looks absolutely beautiful!! I love knowing that visiting there doesn’t have to be crazy expensive! Great article! Sadly, I’ve not been to the southern part of Italy, only the northern area. Your pictures are beautiful and I can’t wait to get to that area one day. Thank you for the great information! I loved Capri when I visited! It was a trip in the spur of the moment and it was the best spontaneous decision! Sometimes the spontaneous decisions make the best trips! Great details on timings and prices in this post – a definite ultimate guide. Thanks for posting! Thank you for putting together all this information! I’ve been wanting to go to Capri for a very long time especially since I’m based close by! happy to know that April is a good time to go, I’ll definitely look into it taking note of all the tips you’ve included! That’s awesome Michelle! I’m glad it was a useful read 🙂 Where are you based at? 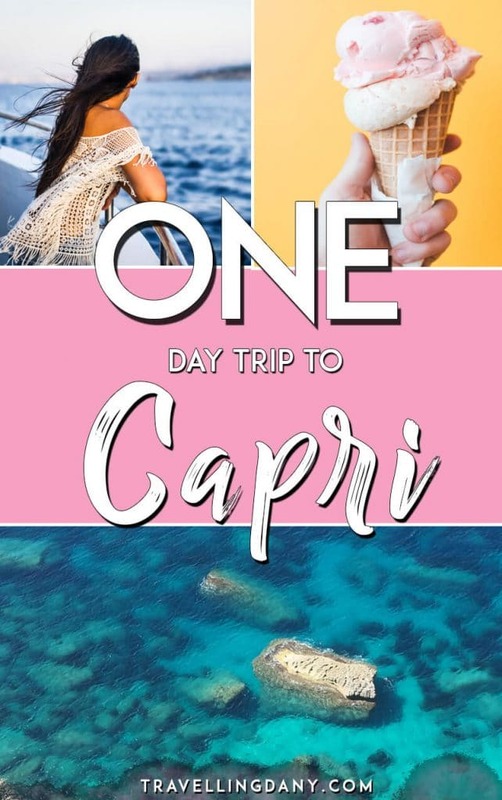 Capri has been on my bucket list for years – I always wanted to go there and feel like Audrey Hepburn for a day…lol..but it looks absolutely incredible and confirms my need to get there soon. Haha that’s easy, Capri is so beautiful that everywhere you go you’ll have that Audrey feel!